Today you will see some great projects using our February Ribbon Club Assortment from our very talented design team. They always come up with some super ideas. At the end of the hop, comment on this post answering the question below for a chance to win our February Ribbon Club assortment shown below. Do you have a particular ribbon style or width that you favor? Do you like solids, prints, textured ribbon? What is your all time favorite type of ribbon? Our winner will be selected from the numbered comments on this post on Wednesday, 2/17. Be sure to check back on Wednesday evening to see if you are our lucky winner. I think I like patterned ones more. You get more "details" on your card that way. I like the ⅜". Solids are more my favorite, but I like patterns also if they are double sided. The ⅜" seem to fit better on a card for mailing. Thank you for the hop and all the beautiful DT work. I favour satin ribbon as I find it esaier to hand tie bows with this than gross grain or organza. I don't have a preference as to pattern or plain as it depends what I want it to coordinate with and I seem to use a mix of widths too although non wider than about an inch as otherwise I feel they can overpower the card. Love all you DT work, thanks. Great blog hop....thank you all for sharing your talents. Solids or textured solids are my favorites. I never seem to use the patterned ones in my card projects. I like a ribbon that is soft to the touch but still holds its shape when tied. Picky, aren't I? Have enjoyed your ribbon club. Honestly, N ot sure I ever met a ribbon I didnt like! That being said I do use alot of sheers. I love all ribbon but my all time fav is 3/8 twill for hand tying a bow. Great hop! I usually like narrower ribbons, like 1/2 inch and narrower. I prefer that size for cards. I also love silk ribbon. Love the way it ties in a bow! I prefer the 3/8" solid, textured ribbons for most of my projects. However, my all time favorite is the gingham plaid in any color or size. This was a fabulous hop! I love all kinds of ribbon, but really prefer one that isn't too wide, I always have a hard time figuring out how to use them. I love anything plaid and the dotted ribbon is always pretty too. Super fun projects on this hop. my favorite is the one with the argyle pattern in it. it just speaks to me. I like about a 3/8". 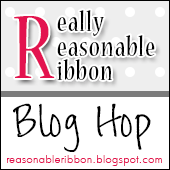 My favorite ribbon is 1/4 or 1/2 inch gingham ribbon. Thank you so much for hosting this blog hop, the designers all did a beautiful job on all their projects. I don't think I really prefer a particular width, or type of ribbon, I just use whatever goes best with the project I'm doing. 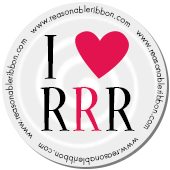 I love ribbon! I add ribbon to 95% of my paper crafting projects. I believe that it adds a lot of pizzazz, interest, texture, and just plain a beautiful addition! My all time favorite ribbon is 3/8" width, and solid in color. And my 'go-to' ribbon is seam binding. I love the texture, the softness, the semi translucent quality, and the easy of creating bows. My second option is single face satin solid in 3/8" width. I love the contrast between the two sides (shiny and smooth). My favorite ribbon is the sheer and satin combo it is such a classy look especially if it also has gold or silver running through it as well!